Pope Gregory XIII: the man who fixed the calendar in 1582. Any ancient society that studied astronomy also worked on inventing a calendar, as well. Not all of them got it right, but they made quite a few good efforts. Ancient Rome spent 700 years designing and redesigning the calendar until they decided they had it right in the year 46 BCE. They called this calendar the Julian Calendar, after Julius Cæsar, and it became the standard calendar to be used in Europe forever after. This calendar was soon adopted in a number of Catholic countries. Eastern Orthodox countries, where the pope in Rome has never had much influence, were slower to adopt this new calendar. Protestantism was taking hold in much of northern Europe, so in Protestant countries, they were disinclined to do anything that the Catholic Church recommended. Countries with Protestant monarchs held onto the Julian calendar with all its faults until the 18th century, when they finally started switching over. In 1750, England’s Parliament passed the Calendar Act, which introduced the Gregorian calendar in England and all of its colonies. The introduction came in two steps. First, it would make 1751 a very short year. 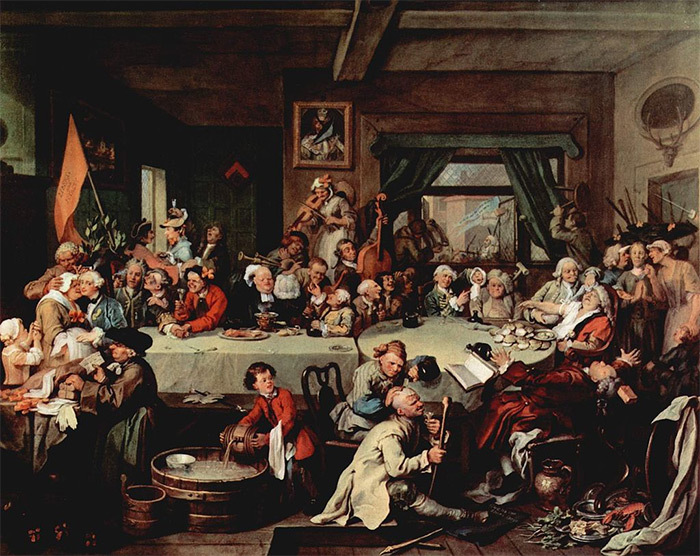 The new year in 1751 would be rung in on March 25, which was the Julian New Year’s Day, but it would end on December 31, the Gregorian New Year’s Eve, curtailing the year to a mere 252 days. 1752 would begin on January 1 and end on December 31, but there was still a deficit of eleven days to sort out. (There was an eleven-day deficit, not ten, because the Julian calendar was about a century and a half further out of step with the Gregorian calendar at this point.) That’s where the trouble began. 1752 started on January 1, right on schedule, but the eleven-day deficit would be made up later. To finally line up England to the new Gregorian calendar, September would be shortened. September 2, 1752, would be followed by September 14, 1752. Some people were not happy about this. At issue was the “popish” calendar. England had been governed by Protestant kings and queens for 200 years already, but anti-Catholic sentiments still ran strong. This new calendar, named after a pope of all things, was an unwanted foreign intrusion by some. Also, since eleven days vanished, a number of saints’ days were skipped that year, which ignited suspicion in some people. And, strangely, there was a common belief that the shortened calendar meant a loss of eleven days of your life! Fuss over the new calendar didn’t end in 1752, either. In 1754, the son of the Earl of Macclesfield ran for Parliament as a Whig. The Earl of Macclesfield himself was an astronomer, and had been a big supporter of the adoption of the Gregorian calendar, so his Tory opponents used this as an election issue against his son. It was an efficient way to inflame passions. The reason for this was the European connection of the Gregorian calendar. England’s Whig Party were the ones who were more sympathetic to the rights of Catholics and Jews, and who were less inclined to take a hard line toward France, like the conservative Tories. Basically it was a way to make common cause with anti-Catholics and anti-Semites without actually having to say the horrible things that the anti-Catholic and anti-Semitic voters you were courting liked to say. It was all boiled down to the dogwhistle of the “stolen eleven days”. The Earl of Macclesfield’s son lost that election, coming in a close third place. In 1755, William Hogath painted a satire called “An Election Entertainment” as a comment on this election and its issues. The painting depicts a Whig celebration with a banner stolen from the Tories who are demonstrating outside. The banner reads, “Give us our eleven days,” an obvious reference to the calendar controversy. Because of this painting, a popular urban legend sprang up that the calendar change had been followed by citizens rioting in the streets over their lost eleven days. But despite the aforementioned controversies, there were no riots of any kind. There was a report of a man named William Willet of Endon, England who went around town on the evening of September 2, 1752, betting all takers that he could “dance for twelve days and twelve nights without stopping.” Some allegedly took this bet. Willet did spend the entire night dancing a jig around town. When the sun came up the next day, which was September 14, 1752, Willet went around collecting his bets! “An Election Entertainment” by William Hogath, 1755, the satire that gave rise to an urban myth.